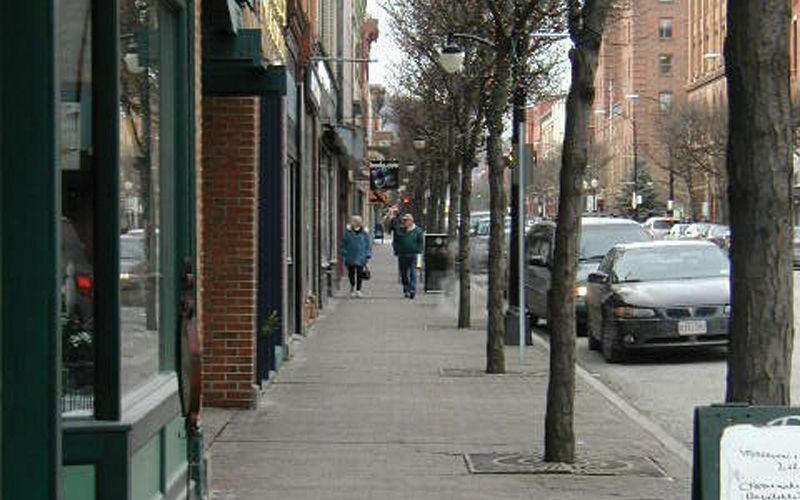 The sidewalk is the area where people interface with one another and with businesses most directly in an urban environment. 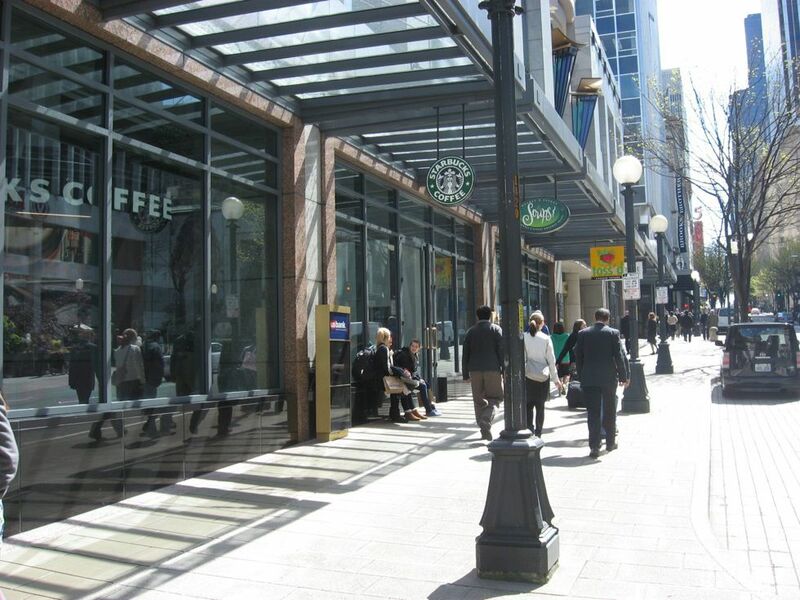 1 The frontage zone describes the section of the sidewalk that functions as an extension of the building, whether through entryways and doors or sidewalk cafes and sandwich boards. The frontage zone consists of both the structure and the facade of the building fronting the street, as well as the space immediately adjacent to the building. 2 The pedestrian through zone is the primary, accessible pathway that runs parallel to the street. 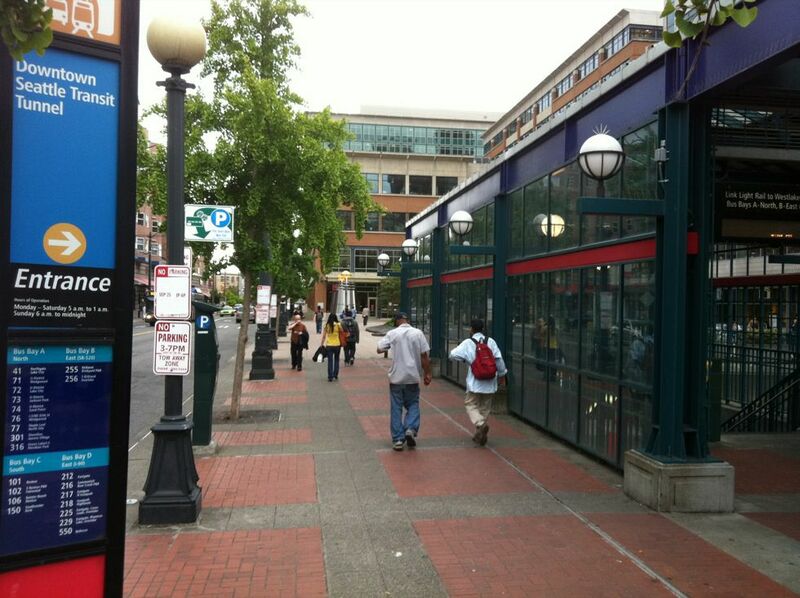 The through zone ensures that pedestrians have a safe and adequate place to walk and should be 5–7 feet wide in residential settings and 8–12 feet wide in downtown or commercial areas. 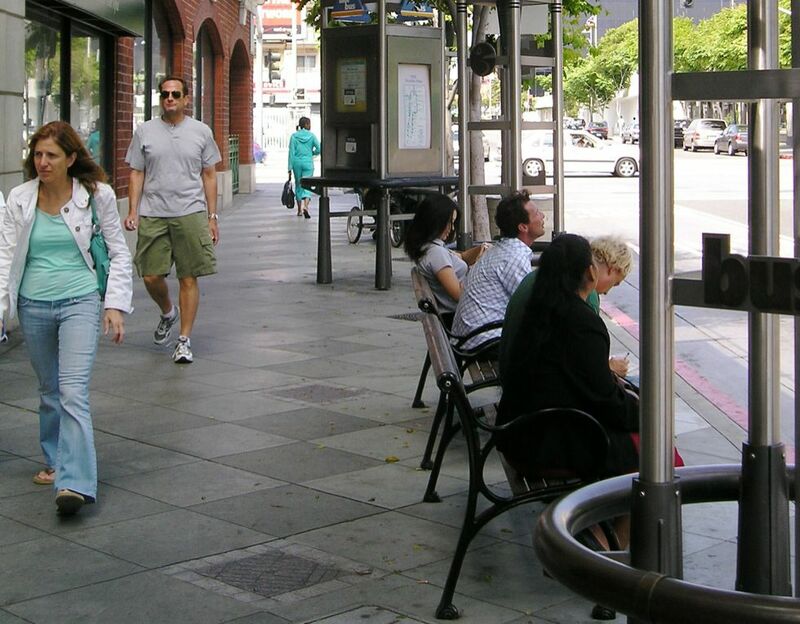 3 The street furniture zone is defined as the section of the sidewalk between the curb and the through zone in which street furniture and amenities, such as lighting, benches, newspaper kiosks, utility poles, tree pits, and bicycle parking are provided. 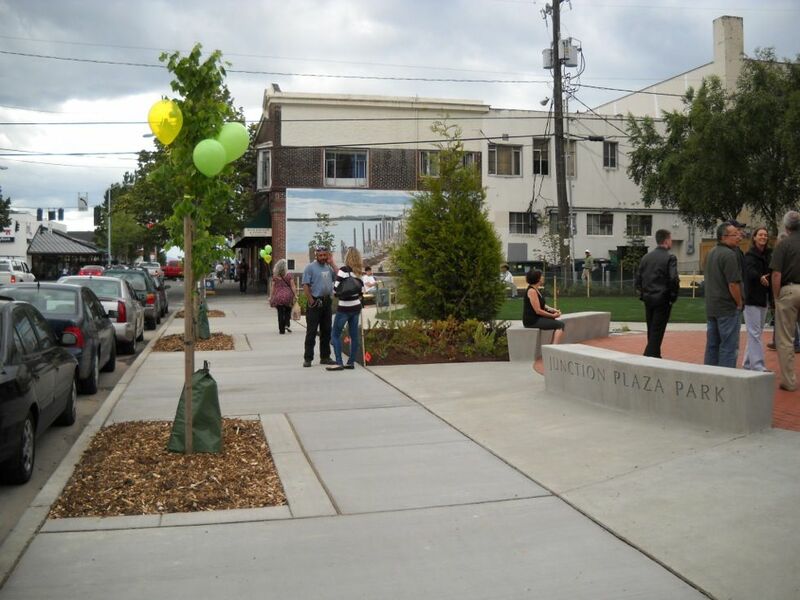 The street furniture zone may also consist of green infrastructure elements, such as rain gardens or flow-through planters. 4 The enhancement/buffer zone is the space immediately next to the sidewalk that may consist of a variety of different elements. 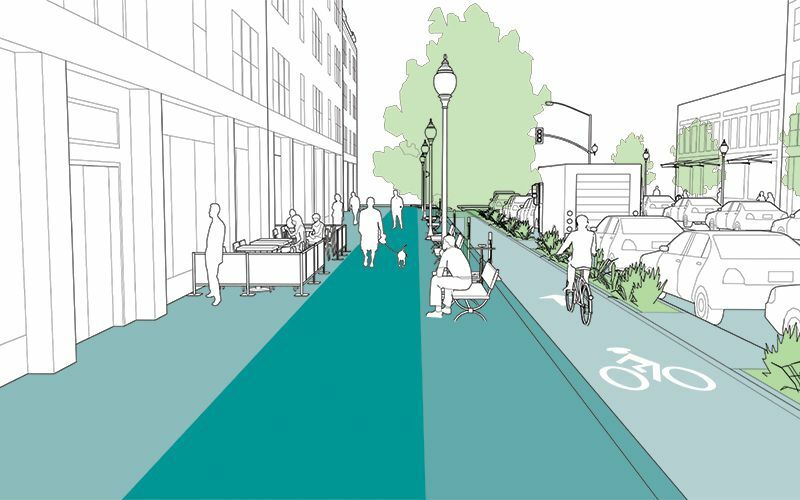 These include curb extensions, parklets, stormwater management features, parking, bike racks, bike share stations, and curbside bike lanes or cycle tracks. 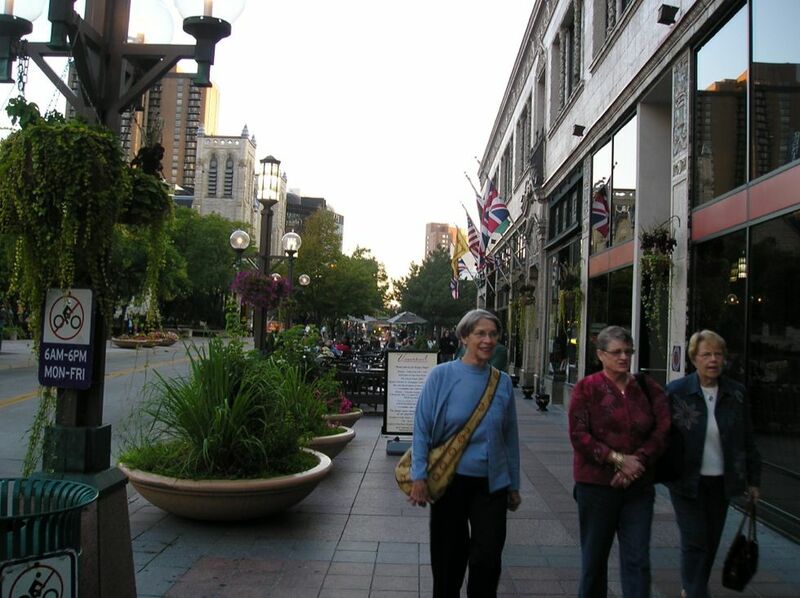 "Walkability is strongly associated with higher housing values in nearly all metropolitan areas. The choice, convenience and variety of walkable neighborhoods are reflected in housing markets and are the product of consumer demand for these attributes. 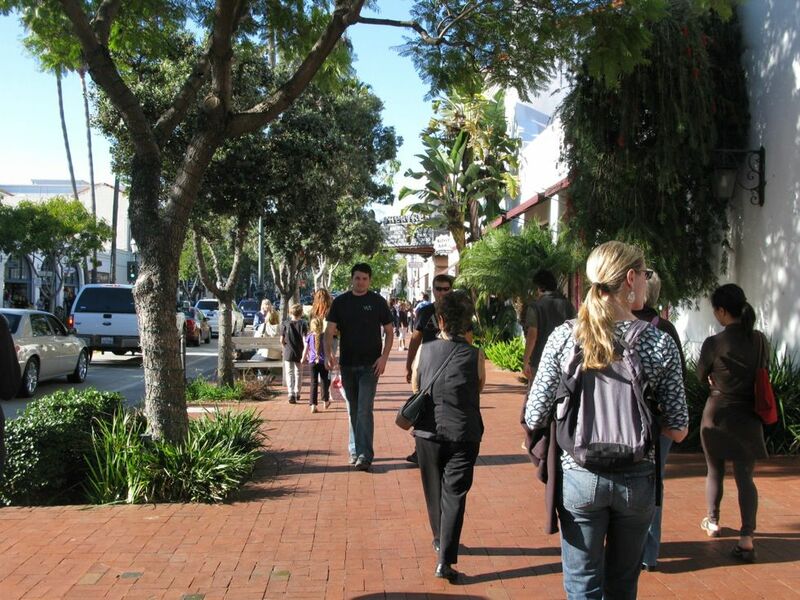 The nation’s urban leaders should pay close attention to walkability as a key measure of urban vitality and as impetus for public policy that will increase overall property values – a key source of individual wealth and of revenues for cash-strapped governments in a tough economy." - Joe Cortright, Walking the Walk: How Walkability Raises Housing Values in U.S. Cities (Chicago: CEOs for Cities, 2009), 3. 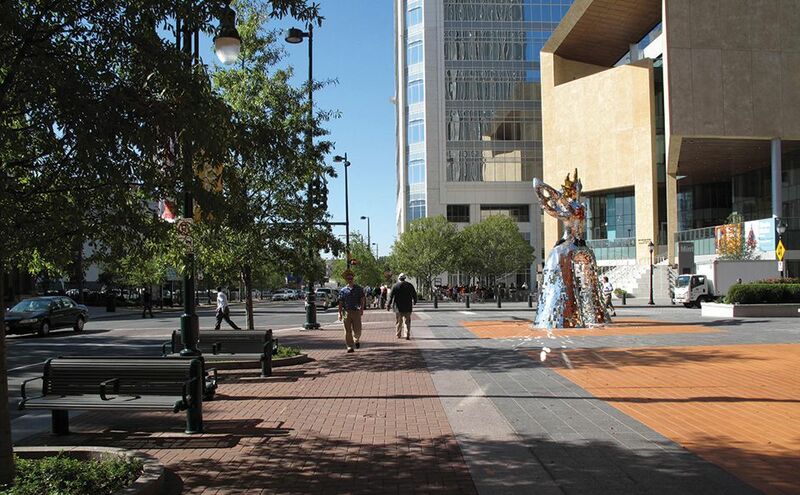 Sidewalk design should go beyond the bare minimums in both width and amenities. 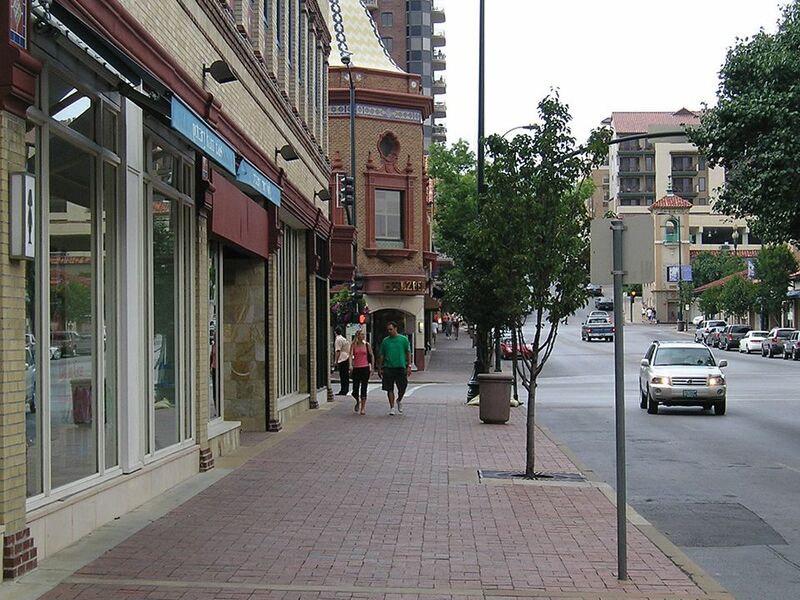 Pedestrians and businesses thrive where sidewalks have been designed at an appropriate scale, with sufficient lighting, shade, and street-level activity. These considerations are especially important for streets with higher traffic speeds and volumes, where pedestrians may otherwise feel unsafe and avoid walking. 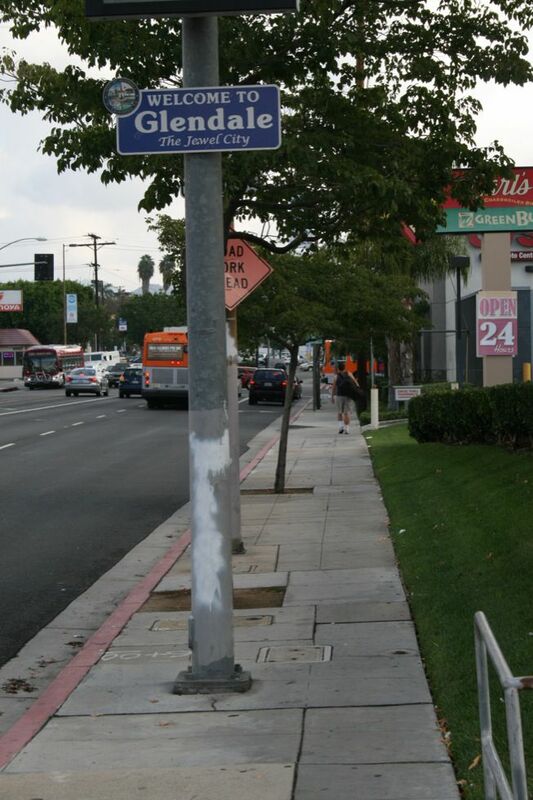 Sidewalks should be provided on both sides of all streets in all urban areas. 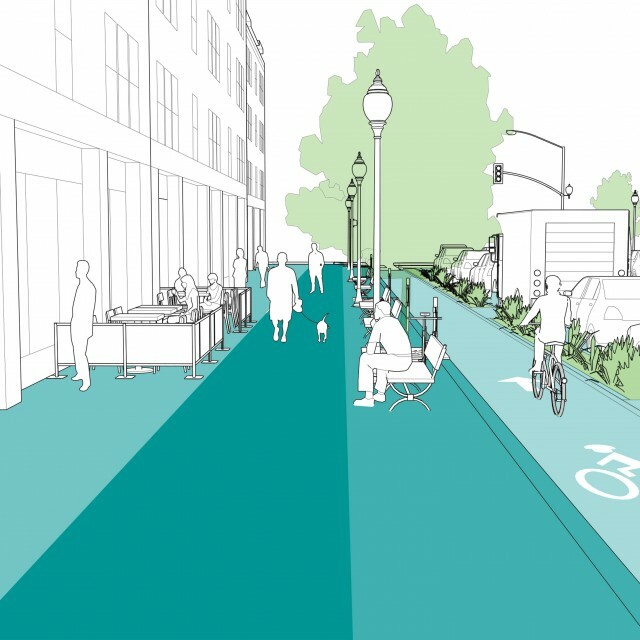 On shared streets, the street itself serves as the path of travel and should be designed in accordance with accessibility recommendations outlined in the shared street section of these guidelines. In certain instances, such as on more rural or suburban roads connecting urban areas, it may be advantageous to build a shared-use path adjacent to the main roadway as a substitute for a sidewalk. In this case, the shared use path should meet the general criteria to serve adequately as a sidewalk or pathway. Boulder, CO has a regional network of multi-use paths which run alongside major highways and arteries. The use of shoulders as a substitute for sidewalks is never justified in urban areas. 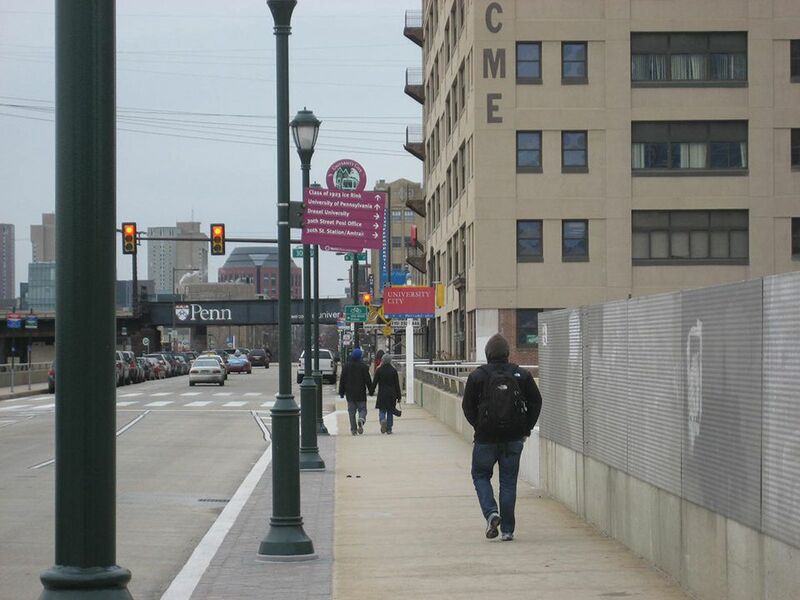 Sidewalks should be delineated by a vertical and horizontal separation from moving traffic to provide an adequate buffer space and a sense of safety for pedestrians. Wide low-volume local or residential roads without sidewalks should be upgraded, but in the interim may be regulated as shared spaces or improved through the use of temporary materials where there is a potential danger to pedestrians. Sidewalk design may be compromised by roadside design guidance that requires lateral offsets or clear zones forgiving to higher vehicle speeds. Use a lower design speed or widen the sidewalk to mitigate these impacts. Delineation of a strict clear zone or minimum offset is not a required feature in urban environments. For the purpose of maintenance, cities should evaluate the impact of street trees, signs, and other elements on the structural integrity of the curb and access needs for parked vehicles or loading/unloading. For more information on clear zones in urban areas, see "Design of Safe Urban Roadsides: An Empirical Analysis" by Eric Dumbaugh. Transportation Research Record: Journal of the Transportation Research Board, No. 1961, Transportation Research Board of the National Academies, Washington, D.C., 2006, pp. 74–82. 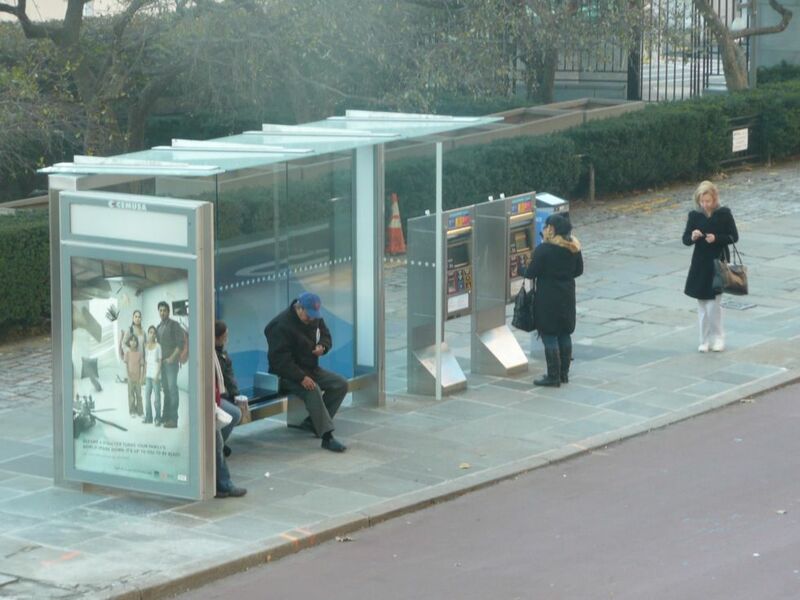 Where transit stops are provided, bus shelters should be placed at the left or right edge of the walkway, but never directly within the path of travel. Where insufficient space exists, consider the application of a bus bulb. Ensure that sidewalks are without major gaps or deformities that would make them non-traversable for wheel- chairs and other mobility devices. At driveways, sidewalks should be maintained at-grade through the conflict zone. Any construction project that obstructs the sidewalk should be mitigated through the provision of a temporary sidewalk that affords a safe and convenient passage or clearly directs users to an equivalent nearby detour. 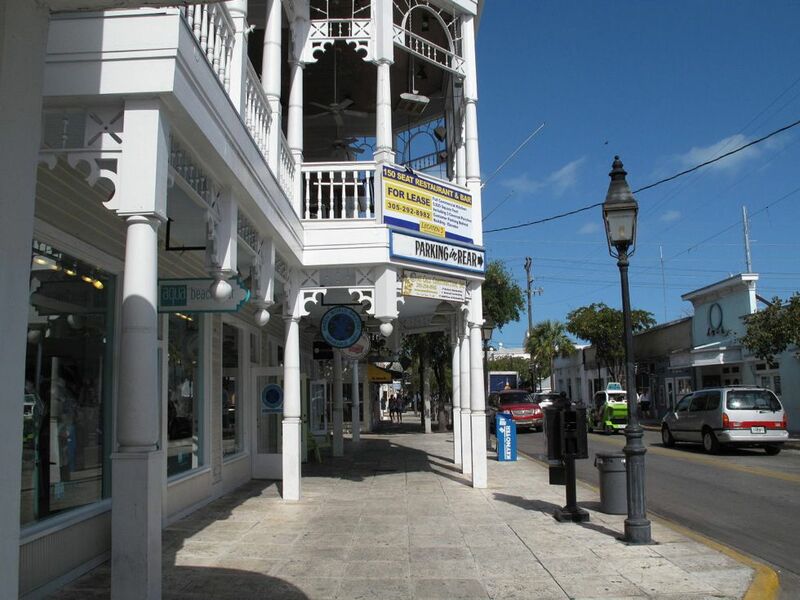 Façades and storefronts should be designed to cater to the eye level of pedestrians. 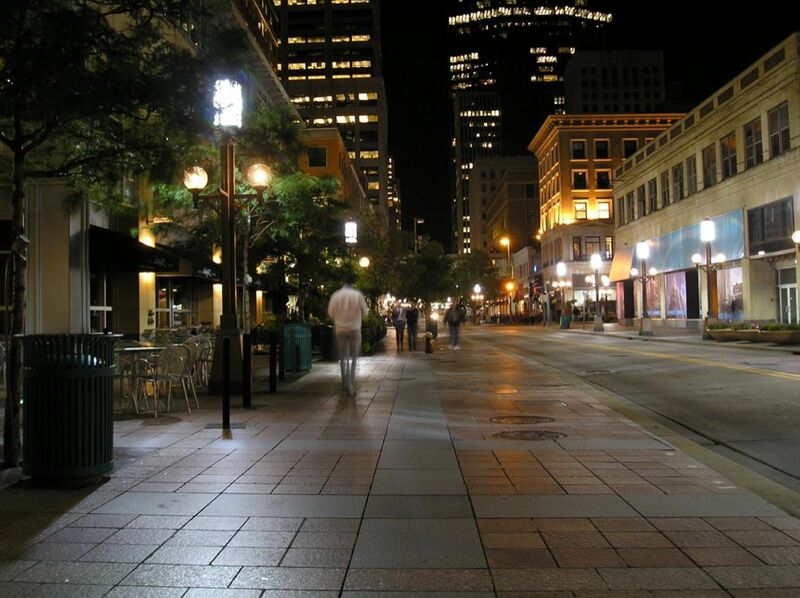 Lighting scaled to the pedestrian realm in addition to overhead lighting for vehicles. Benches and other seating platforms designed into the structure itself or placed within the frontage zone. 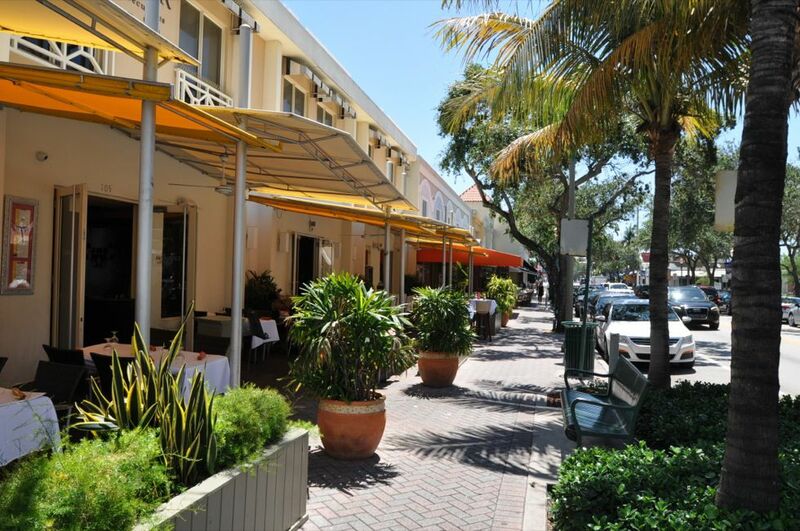 Incentives to provide awnings, sidewalk cafes, and other elements that improve the comfort and appearance of the sidewalk. 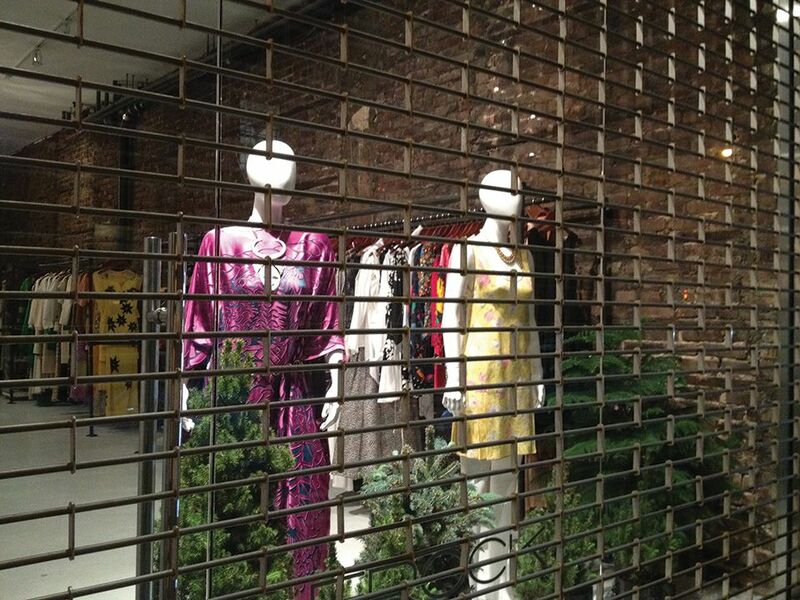 Where security concerns are present, use of permeable, rather than closed, metal shutters on storefronts at night (above). Provision of adequate lighting beneath scaffolding and other construction sites. Select street trees and tree wells whose roots have a limited impact on the integrity of the sidewalk’s structure. 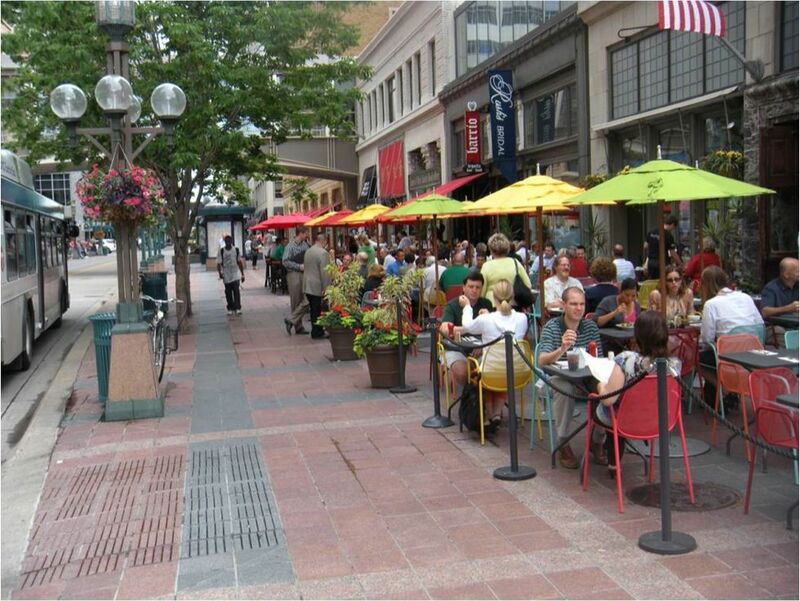 Sidewalk cafes foster street life and have the potential to increase business along a corridor. Where provided, sidewalk cafes should not impinge upon the accessible pedestrian pathway. For more information, see "Greenway Cafe Guidelines." Boston Redevelopment Authority, 2007. Where a city decides to repurpose a portion of the sidewalk as a raised bikeway, utilities and other street furniture should be relocated (in the facility’s permanent reconstruction) to adequately separate pedestrian and bicycle traffic. If a sidewalk is directly adjacent to the roadway, 2 feet should be added to the absolute minimum clear path width to ensure that there is sufficient space for roadside hardware and snow storage.8 Parking provides a valuable buffer between the pedestrian and vehicle realm. Urban arterials or high- volume downtown streets directly abutting the pedestrian realm should be buffered in some capacity, whether through a street furniture zone, parking, cycle track, or other feature. Sidewalks of minimum dimensions directly adjacent to the traveled way should be avoided. When pedestrian networks cross municipal boundaries, efforts should be made to ensure seamless continuity of the pedestrian infrastructure. 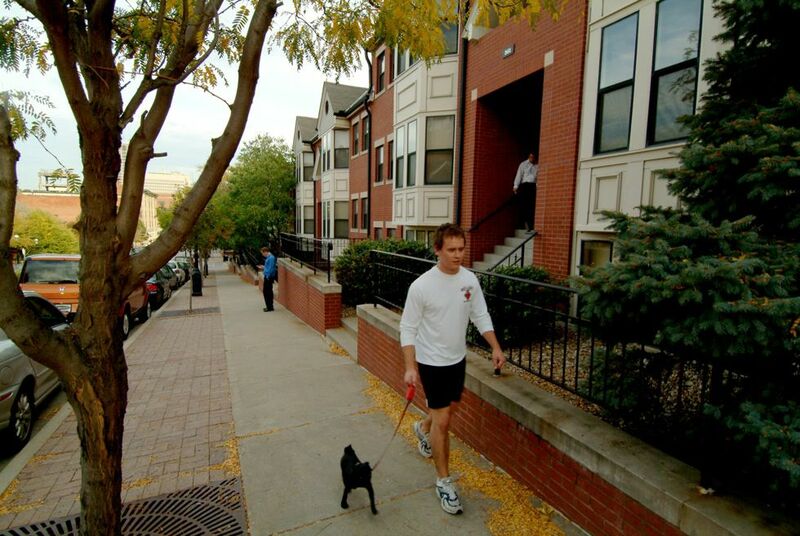 In newer residential areas, many streets have been constructed without sidewalks. If traffic volumes are sufficiently low in these areas, consider designating or upgrading these areas to shared streets. This requires the addition of specific traffic calming devices and regulations that offset potential conflicts with traffic accessing local properties. Many older residential areas have trees whose roots have compromised the integrity of the sidewalk. 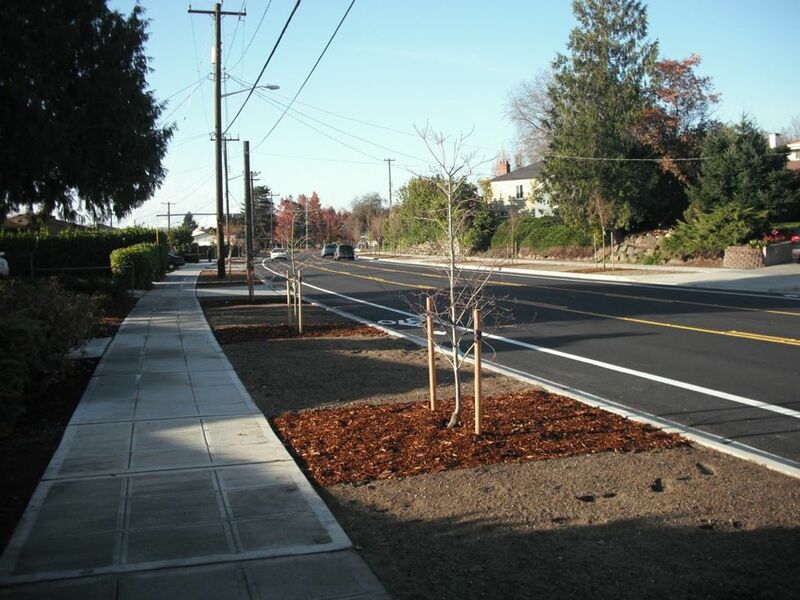 On low-volume roads, consider the application of a curb extension that obviates the need to remove trees or the installation of a wider sidewalk during reconstruction. 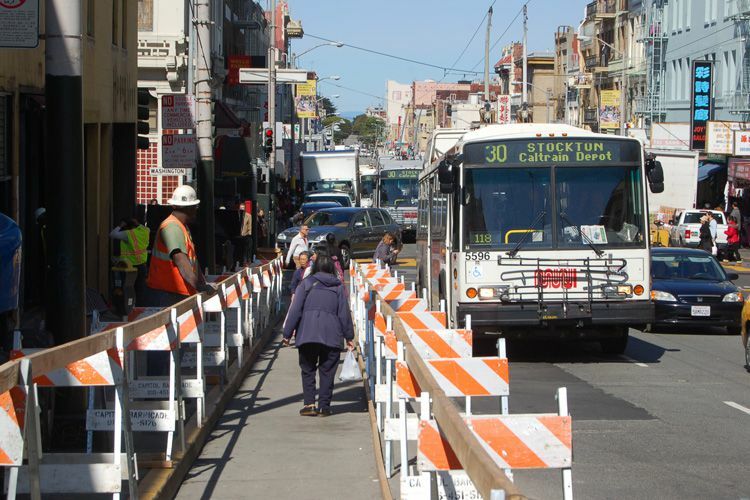 Where pedestrian volumes create congested conditions along sidewalks, cities are encouraged to pursue temporary means to ease overflow from the sidewalk onto the streets. Interim elements, such as epoxied gravel pavements or temporary lane closures, may be able to provide an interim solution until a city can widen the walkway. If special events are anticipated to significantly increase pedestrian traffic, similar strategies should be pursued to ensure pedestrians are not forced into vehicular traffic. 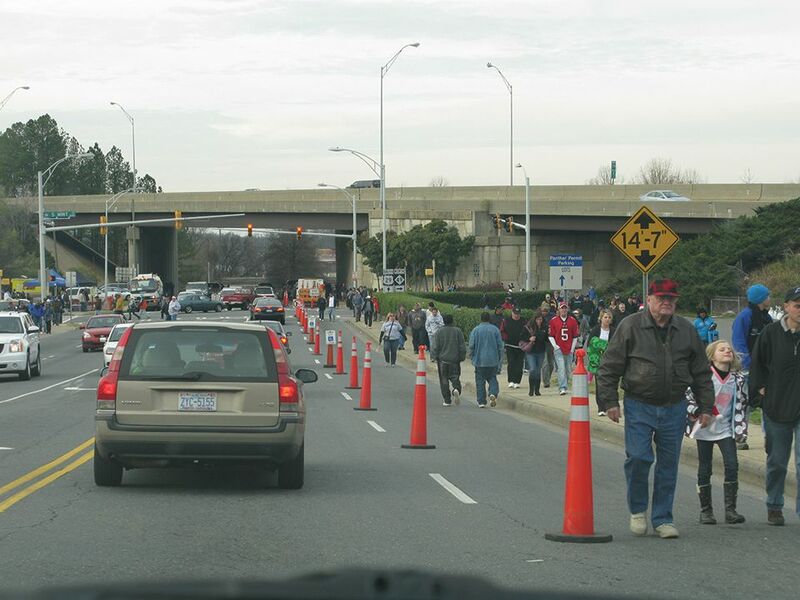 Lane closures should be considered to ease sidewalk congestion during times with known high pedestrian volumes. 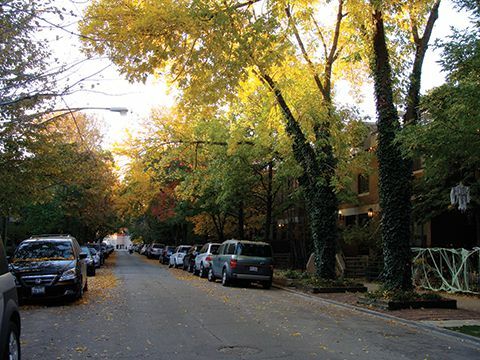 Street trees enhance city streets both functionally and aesthetically. 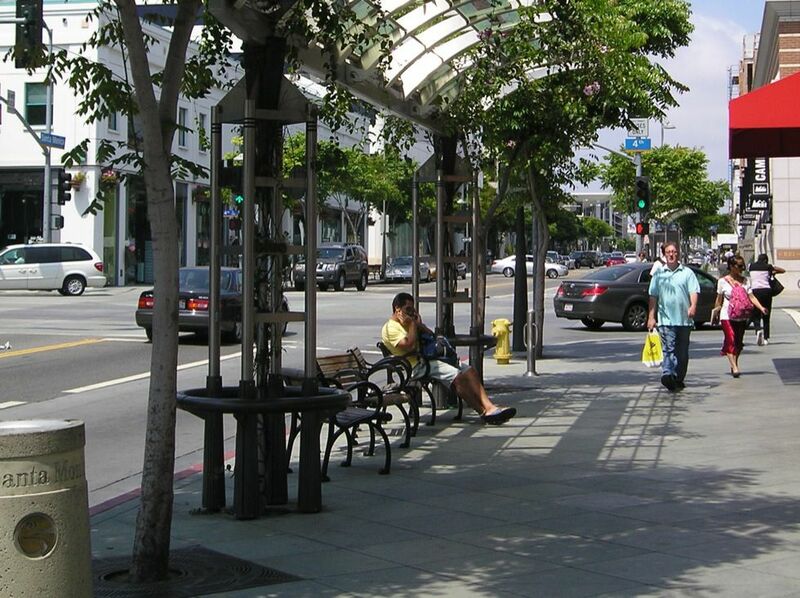 Trees provide shade to homes, businesses, and pedestrians. 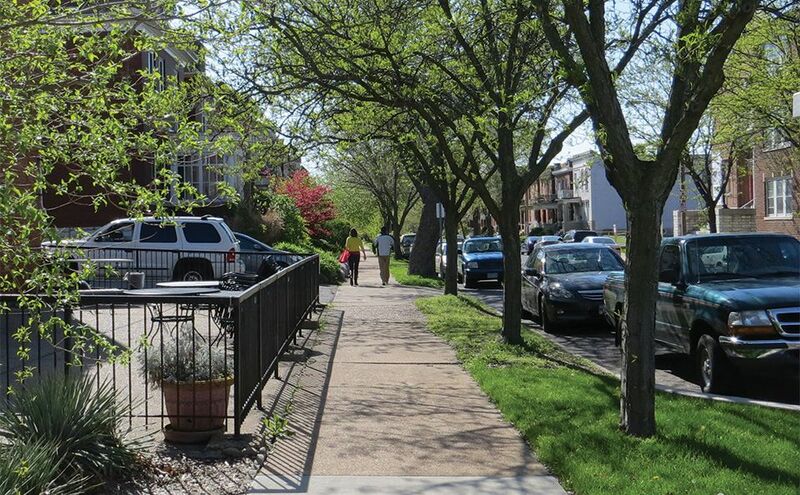 Street trees also have the potential to slow traffic speeds, especially when placed on a curb extension in line with on-street parking, and may increase pavement life by avoiding extreme heat. Aesthetically, street trees frame the street and the sidewalk as discrete public realms, enriching each with a sense of rhythm and human scale. Requirements for tree spacing depend upon a number of key factors and should be tailored to the chosen species, standard (or desired) tree pit size, fixed property lines, setback from curb, and integration with street lights and other furniture. Street trees may be removed to satisfy sight distance or clear zone requirements only in extreme cases, where the installation of traffic control devices has been precluded. Larger trees protect pedestrians from errant vehicles. For more information, see "Street Trees and Intersection Safety," by Elizabeth McDonald et al. http://www.uctc.net/papers/768.pdf. Clear zones are applicable on rural highways with high vehicle speeds, not in urban areas. Removal of roadside impediments (trees, street furniture, etc.) has an ambiguous safety record in urban environments and is at odds with city policies striving to increase pedestrian traffic and spur economic activity. 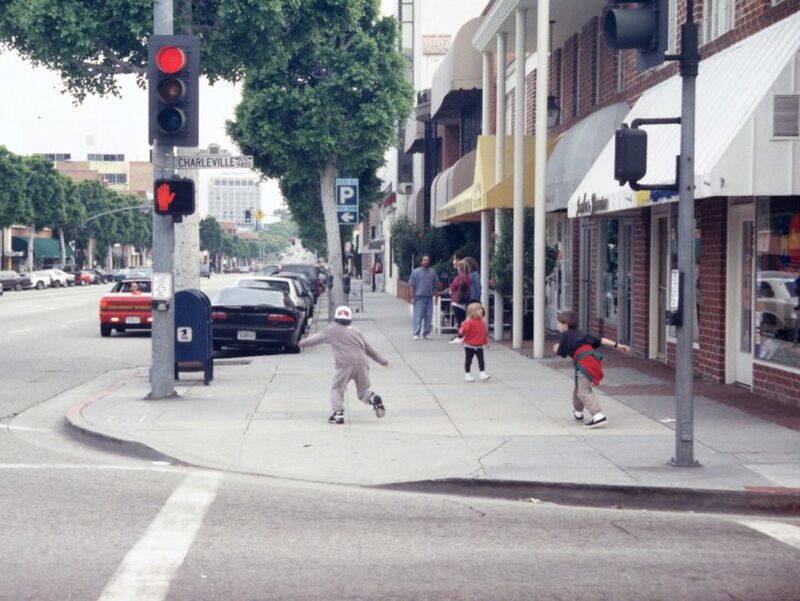 Street trees and other roadside features are superior to wide shoulders or run-off zones, as they can decrease overall speeds and encourage a more pedestrian-friendly environment. 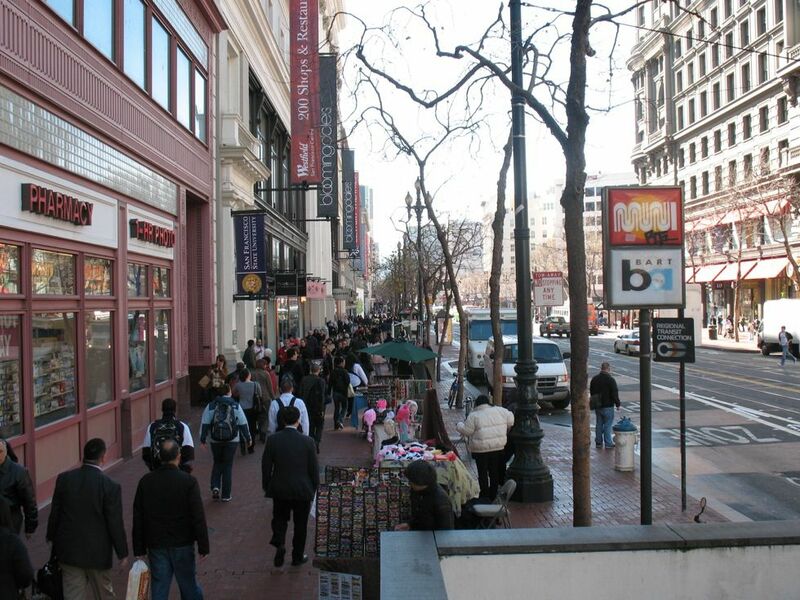 A 2003 newsletter of “Let’s Talk Business” cited several economic benefits of walkable communities, including a case study from Lodi, CA that cited how pedestrian improvements paired with economic development incentives dropped the retail vacancy rate from 18% to 6% and also resulted in a 30% increase in downtown sales tax revenues. Bill Ryan, “Let’s Talk Business: Ideas for Expanding Retails and Services in Your Community,” UW Extension, July 2003. 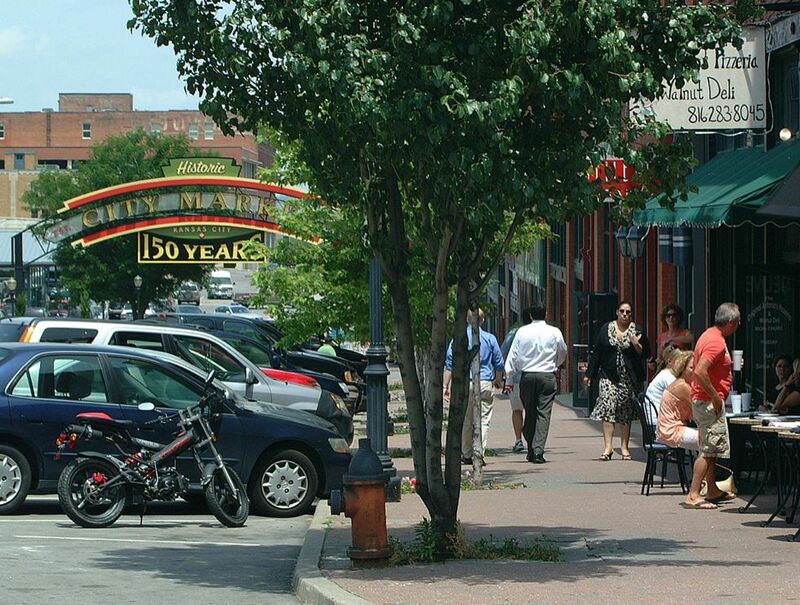 A 2011 research study titled Examining Walkability and Social Capital as Indicators of Quality of Life at the Municipal and Neighborhood Scales used a case study approach between three communities in New Hampshire. Comparisons between the more walkable and less walkable neighborhoods show that levels of social capital are higher in more walkable neighborhoods. Shannon H. Rogers, John M. Halstead, Kevin M. Gardner, and Cynthia H. Carlson, “Examining Walkability and Social Capital as Indicators of Quality of Life at the Municipal and Neighborhood Scales,” Applied Research Quality of Life 6 (2010): 201–213. 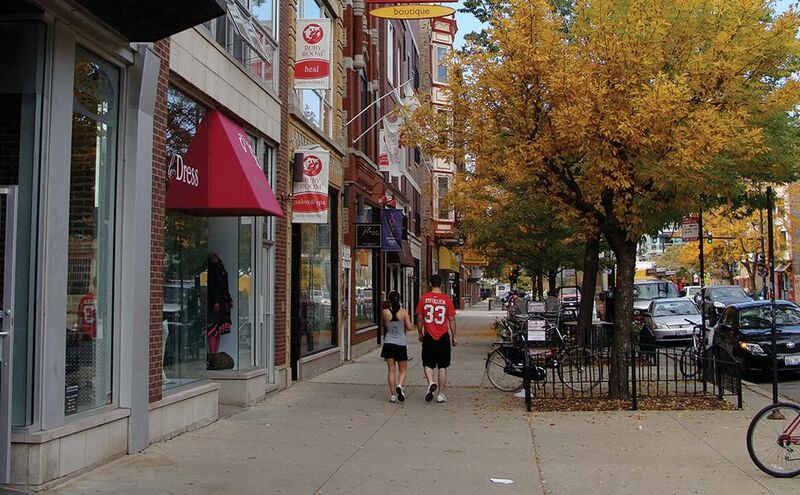 Examples of higher standards for sidewalks include downtown Washington, D.C. (16 foot + 6 foot buffer), Chicago (varies between 10–12 feet depending on context), San Francisco (9–17 feet depending on context), Boston (target varies, but minimum is 7 feet for several street types). 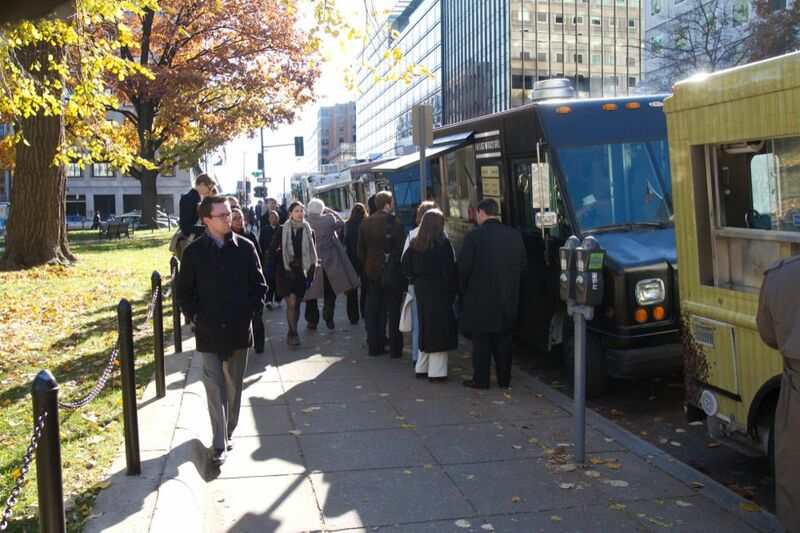 As an example, Washington, D.C.’s Design Engineering Manual states that a sidewalk should exist on both sides of every street or roadway. Design and Engineering Manual (Washington, D.C.: D.C. Department of Transportation, 2009): 29–3. Joe Cortright, Walking the Walk: How Walkability Raises Housing Values in U.S. Cities (Chicago: CEOs for Cities, 2009). Paul D. Thompson, Kevin M. Ford, Arman Mohammad, Samuel Labi, Arun Shirolé, and Kumares Siuha. NCHRP Report 713: Estimating Life Expectancies of Highway Assets. Volume 1: Guidebook. (Washington, D.C.: Transportation Research Board, 2012). Federal Highway Administration, “Sidewalk Corridor Width,” Designing Sidewalks and Trails for Access (Washington, D.C.: FHWA, 2001). According to the American Disabilities Act, the minimum sidewalk width at bus stop loading points should be 8 feet to ensure clear boarding and alighting. The location of a bus shelter, bench, or other permanent fixtures should ensure a 3-foot clear path for pedestrian travel. However, 3 feet is not the recommended width for sidewalks, it is the absolute minimum needed to ensure a clear path of travel when obstacles exist in the sidewalk. A Policy on Geometric Design of Highways and Streets, 4th Edition (Washington, D.C.: AASHTO, 2001). Roadside Design Guide, 4th Edition (Washington, D.C.: AASHTO, 2011). In urban areas, the presence of fixed roadside objects (such as trees) is correlated with lower crash frequencies. This suggests that roadside objects in urban areas may actually enhance safety (by increasing driver caution and reducing speeds). As referenced in Eric Dumbaugh, “Safe Streets, Livable Streets,” Journal of the American Planning Association 71 (2005): 295. The AASHTO Green Book suggests a minimum offset distance of 1.5 feet between the face of the curb to the nearest fixed object off the roadway. Access Minneapolis. 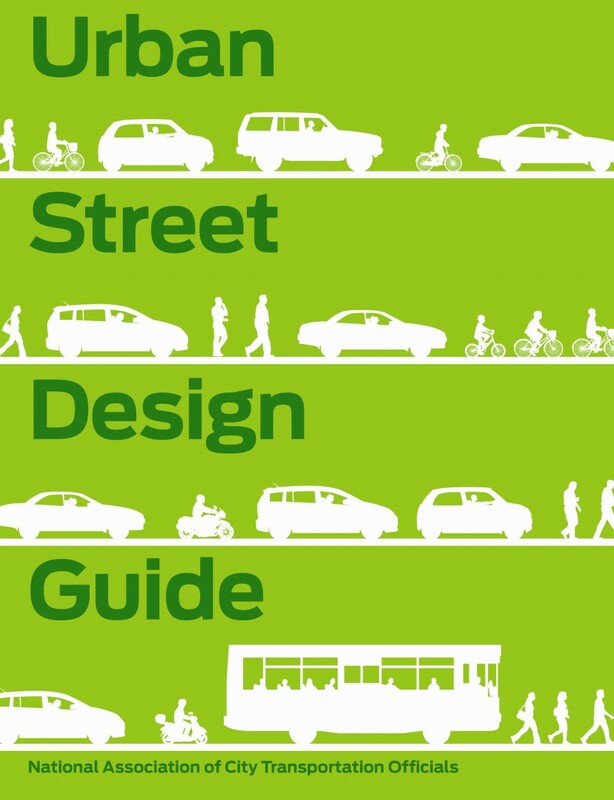 “Pedestrian Facility Design.” Design Guidelines for Streets and Sidewalks (2009): 10-1-10-60. American Association of State Highway and Transportation Officials. Roadside Design Guide. Washington D.C.: 2011. Axelson, Peter W., Denise A. Chesney. Dorothy V. Galvan, Julie B. Kirschbaum, Patricia E. Longmuir, Camille Lyons, and Kathleen M. Wong. “Designing Sidewalks and Trails for Access.” Part I of II: Review of Existing Guidelines and Practices (1999): (1), 1-184. Boodlal, Leverson. 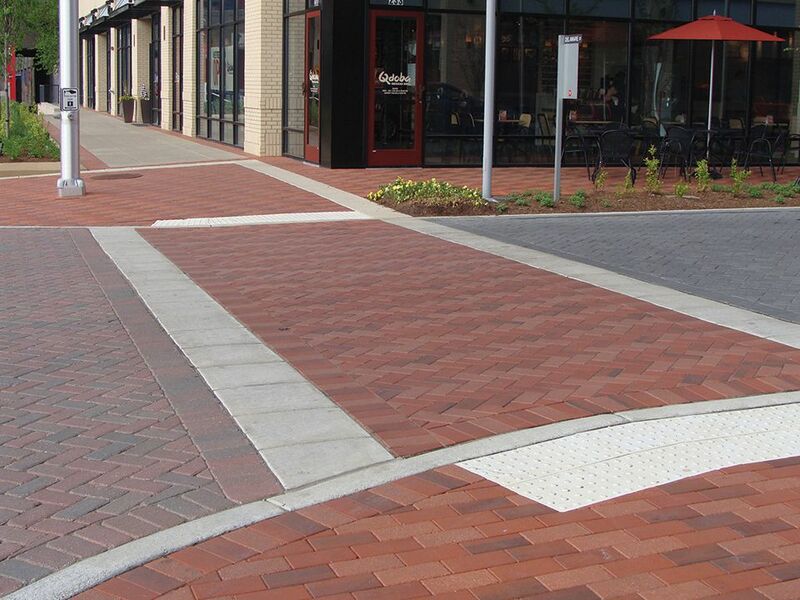 “Providing Accessible Sidewalks and Street Crossings.” Washington, D.C.: U.S. Department of Transportation, National Highway Administration, 2003. City of Richmond Department of Planning and Development. Sidewalk Café Design Guidelines. Richmond: 2012. Cortright, Joe. “Walking the Walk: How Walkability Raises Housing Values in U.S. Cities.” CEOs for Cities, Chicago, 2009. District Department of Transportation. Design Engineering Manual. Washington D.C.: 2009. Dixon, Karen K., Michael Liebler, Hong Zhu, Michael P. Hunter, and Berry Mattox. 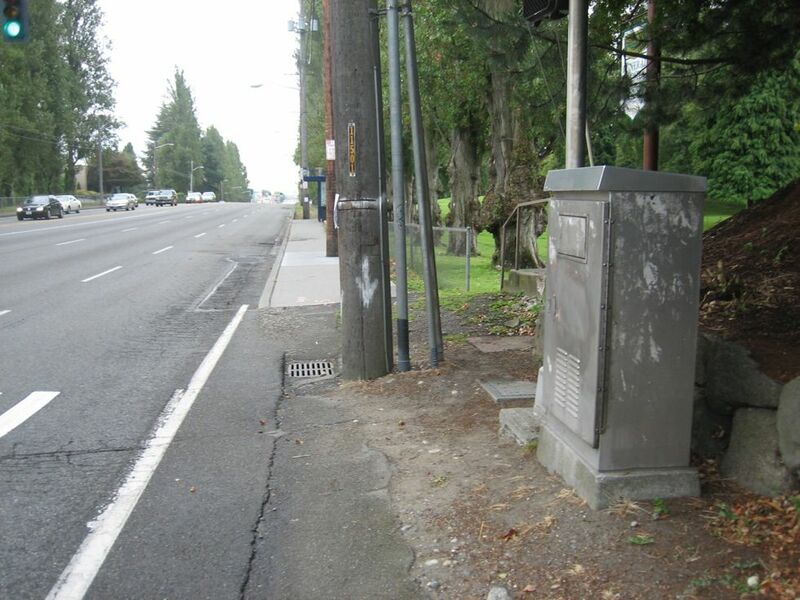 “Safe and Aesthetic Design of Urban Roadside Treatments.” Transportation Research Board NCHRP Report 612 (2008): 1-74. Dixon, Karen K., and Kathleen L. Wolf. "Benefits and risks of urban roadside landscape: finding a livable, balanced response." Prepared for the 3rd Urban Street Symposium: Uptown, Downtown, or Small Town: Designing Urban Streets That Work, Seattle, June 24-27, 2007. Dumbaugh, Eric. "Design of Safe Urban Roadsides: An Empirical Analysis." Transportation Research Record: Journal of the Transportation Research Board1961 (2006): (1), 74-82. Dumbaugh, Eric. “Safe Streets, Livable Streets.” Journal of the American Planning Association (2005): 71, 295. Kim, Sangyoup, Jaisung Choi, and Yongseok Kim. "Determining the Sidewalk Pavement Width by Using Pedestrian Discomfort Levels and Movement Characteristics." KSCE Journal of Civil Engineering (2011): 15(5), 883-889. Kirschbaum, Julie B., P. W. Axelson, P. E. Longmuir, K. M. Mispagel, J. A. Stein, and D. A. Yamada. “Designing Sidewalks and Trails for Access.” Part II of II: Best Practices Design Guide (2001): (1), 1-484. Loukaitou-Sideris, Anastasia, and Renia Ehrenfeucht. “Sidewalks: Conflict and Negotiation over Public Space.” Cambridge: Massachusetts Institute of Technology, 2009. Lowber, Kayla. “Outdoor Cafes/Widened Sidewalks.” Paris-Chamaps Elysses and Arc: 1-7. Minneapolis Coordinated Street Furniture. Program Guidelines Report. Minneapolis: 2007. Mok, Jeong-Hun, Harlow C. Landphair, and Jody R. Naderi. "Comparison of Safety Performance of Urban Streets Before and After Landscape Improvements." 2nd Urban Street Symposium (2003): (2), 1-17. Mok, Jeong-Hun, Harlow C. Landphair, and Jody R. Naderi. 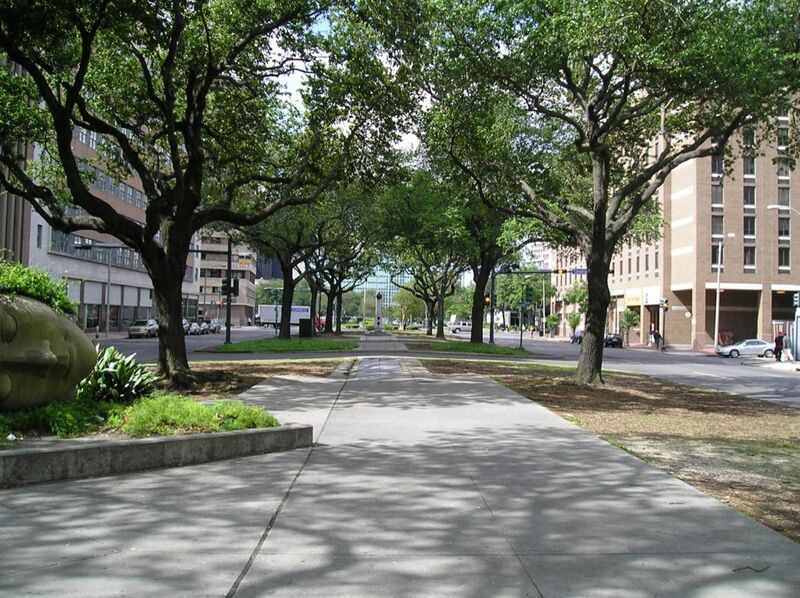 "Landscape Improvement Impacts on Roadside Safety in Texas." Landscape and Urban Planning (2006): 78(3), 263-274. New York City Department of City Planning. 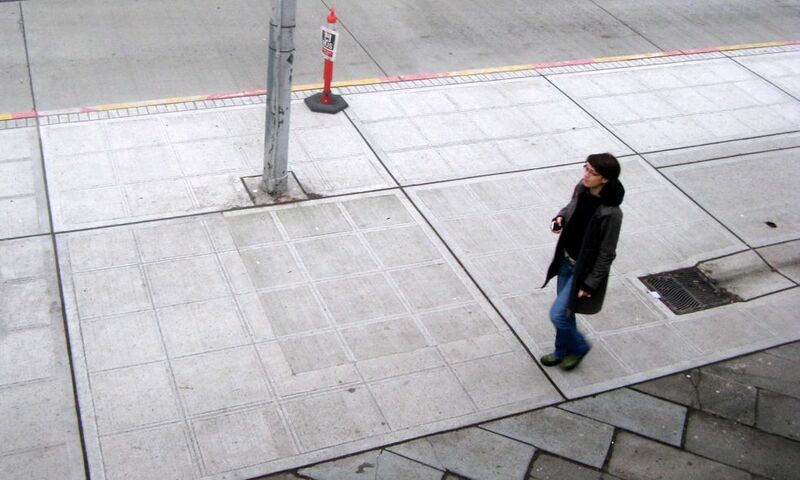 Active Design: Shaping the Sidewalk Experience. New York: 2013. Rogers, Shannon, John Halstead, Kevin Gardner, and Cynthia Carlson. “Examining Walkability and Social Capital as Indicators of Quality of Life at the Municipal and Neighborhood Scales.” Applied Research Quality Life (2011): 6, 201-213. Ryan, Bill, Steve Deller, and Gary Green. “Let’s Talk Business: Ideas for Expanding Retail and Services in your Community.” UW Extension (2003): 65, 1-2. San Francisco Department of Public Works. 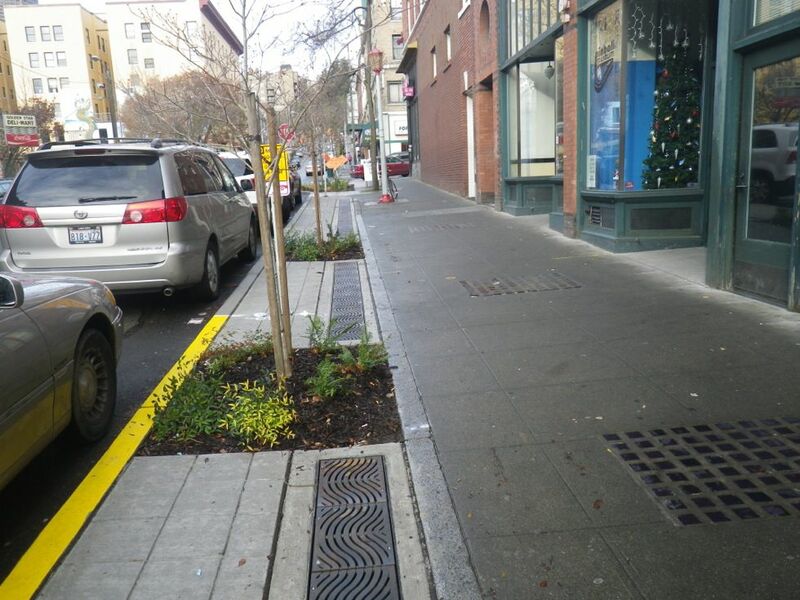 “Regulating The Planting, Maintenance, Or Removal Of Trees And Landscape Material On Public Sidewalk Areas And Superceding.” San Francisco: 2010. Sax, Christian R., Thomas H. Maze, Reginald R. Souleyrette, Neal Hawkins, and Alicia L. Carriquiry. “Optimum Urban Clear Zone Distance.” Transportation Research Record 2195 (2010): 27–35. Thompson, Paul, Kevin Ford, Mohammad Arman, Samuel Labi, Kumares Sinha, and Arun Shirole. “Estimating Life Expectancies of Highway Assets: Volume 1 Guidebook.” Transportation Research Board NCHRP Report 713 (2012): 1-150. Wolf, Kathleen L. "More in Store: Research on City Trees and Retail." Arborist New (2009): 18(2), 22-27. References for Sidewalks: 22 found.